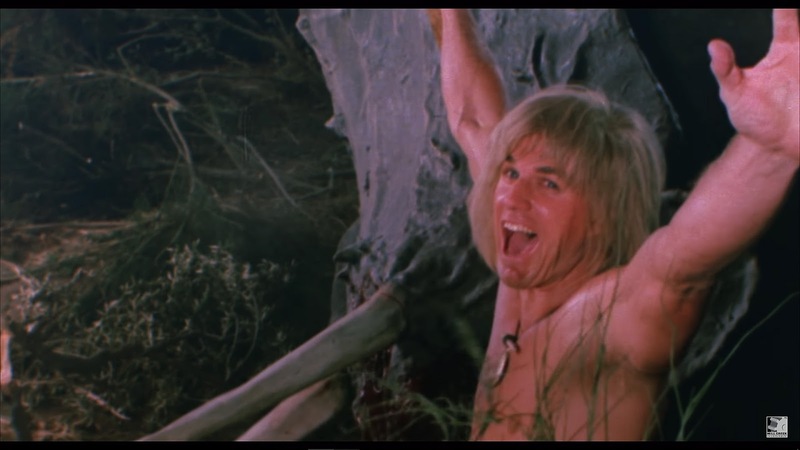 THE B-MOVIE NEWS VAULT: On January 16th Visit the Insane World of YOR, THE HUNTER FROM THE FUTURE on Blu-ray! 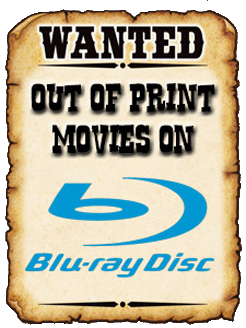 On January 16th Visit the Insane World of YOR, THE HUNTER FROM THE FUTURE on Blu-ray! JOURNEY TO A WORLD OF PREHISTORIC BEASTS AND FUTURISTIC ROBOT WARRIORS IN MILL CREEK'S 35TH ANNIVERSARY BLU-RAY OF "YOR, THE HUNTER FROM THE FUTURE!" I unabashedly love YOR, THE HUNTER FROM THE FUTURE. Ever since I discovered it on VHS decades ago, I have enjoyed this bizarro post-apocalyptic flick from Italy! I truly never thought it would get a legit Blu-ray release here in North America, so THANK YOU Mill Creek Entertainment - you have done us Yor fans (yes, we exist) a huge service! Synopsis: It is before the dawn of time. Strange, savage beasts roam the earth, foraging for human flesh. Fierce tribesmen prey on the weak and innocent. Mystic sacrifices appease the gods. Yor (Reb Brown, SPACE MUTINY, 1979's CAPTAIN AMERICA) is the mightiest warrior of his era. But his own past and true identity-are shrouded in the mists of time. He knows he doesn't belong in this world, but his only clues to the fleeting memories of his past are the gold medallion around his neck and the beautiful priestess held prisoner in a forbidden city. Armed to the teeth, Yor sets off on a quest, ready to blast away all manner of terrifying creatures along the way. My reaction when I discovered that YOR was coming to Blu-ray! NEW! Audio commentary with lead star Reb Brown! While I would have liked a few more extras (like a trailer or, in a perfect world, the entire Italian mini-series that YOR was edited from), I am more than content with having a legit copy of this cult oddity on Blu-ray! 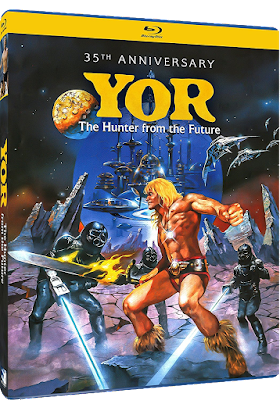 Look for YOR, THE HUNTER FROM THE FUTURE: 35TH ANNIVERSARY EDITION on Tuesday, January 16th! You can order your copy now from AMAZON, BULLMOOSE, DIABOLIK DVD, or directly from MILL CREEK ENTERTAINMENT! Scope out the trailer below, and also take a few moments to enjoy the incredibly awesome YOR theme song, written and performed by Oliver Onions!